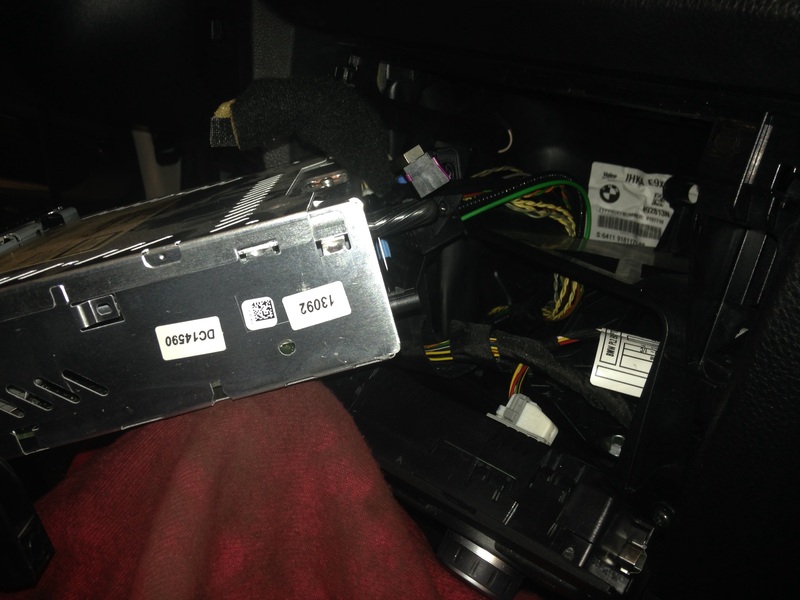 Nothing to exciting here,,,,E90 radio replacement,,,,customer complaining about a buzzing noise coming from the speaker with radio off and even with the car off,,,,we have found a problem internally inside some of the E90 BMW professional radio. 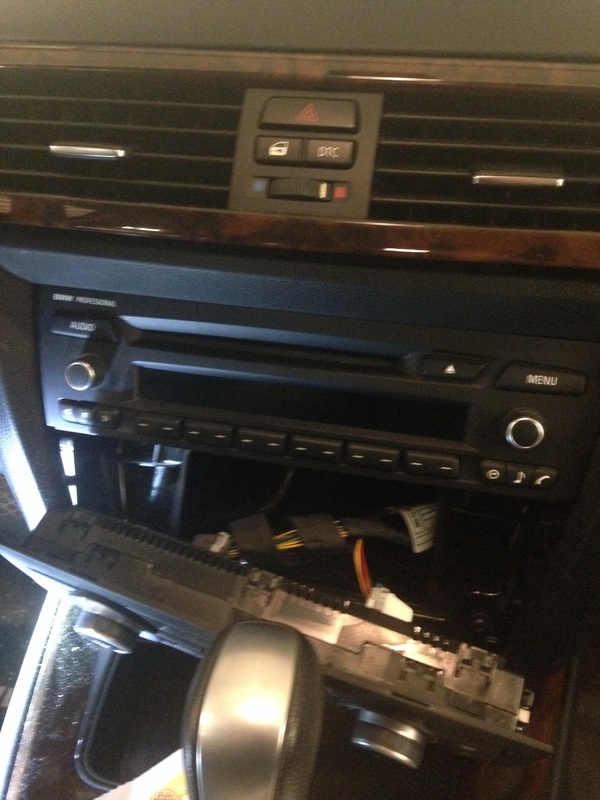 These are pretty easy to replace ,,,,just remove the IHKAunit first and the remove the 2 screws holding in the radio ,,,you still have to encode the radio to the vehicle. This entry was posted in Uncategorized and tagged buzzing, E90, radio. Bookmark the permalink. Wow. Well done. I bet the customer will be happy. Tell me, i’m trying to get to the amp in my f01…I can get the trunk panels out exposing the battery etc. how do I get the side panels off lol? I pull on the chrome tabs but something I do not see is holding them on good and tight. Help?